Let’s get crazy. Let’s do BOTH. 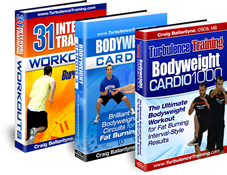 I’ve got an “Interval Finisher” for you to knock out, but first, let’s take a look at a NEW problem with cardio from my friend Craig Ballantyne. 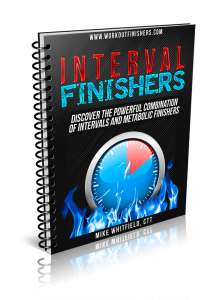 And here is a finisher from my brand new manual, “Interval Finishers”, that I’ll give you FREE when you get Craig’s no-brainer deal through the link above. Then forward your receipt to us at cranktraininghelp@gmail.com and we’ll send you the Interval Finishers Workouts including a whacky, but effective interval/arm finisher. (Yeah baby, I got crazy).